Plantar fasciitis is one of the most commonly presented and treated foot complaints within Greg Robinson's podiatry practice. Plantar fasciitis is commonly used to refer to heel and arch pain. 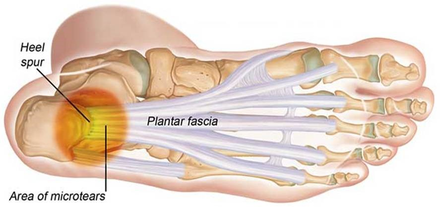 The plantar fascia is a long, thin ligament (non-elastic fibrous band of connective tissue) along the bottom of the foot extending from the heel bone, splitting and fanning out to attach to the toes. Plantar fasciitis is a condition where the plantar fascia becomes inflamed (more specifically “microscopic tearing” to the structure) from overstretching or overuse, resulting in pain in the heel and/ or arch area of the foot. 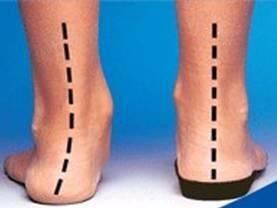 Over-pronation – which is the foot rolls inward excessively when walking, it flattens the foot, lengthens the arch and puts added tension on the plantar fascia. Wearing improper shoes with soles that are too soft, do not fit well or offer poor arch support. With high impact weight-bearing activities. Greg will conduct a physical examination of your lower limbs and feet as well as carry out a thorough biomechanical examination. This will include a static and dynamic video and pressure plate mat gait analysis of how you stand and walk/ run. Greg will discuss a custom treatment plan with you. Muscle, tendon strengthening and stretching/ mobility program. Surgical referral - considered only if conservative therapy does not provide effective relief.